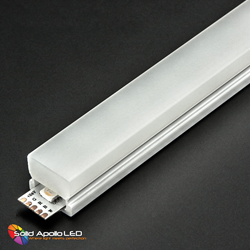 Solid Apollo LED Introduces 2 New Lines of Linear LED Lighting Channels: Neonizer LED Strip Channels and Economy Series LED Strip Channels. 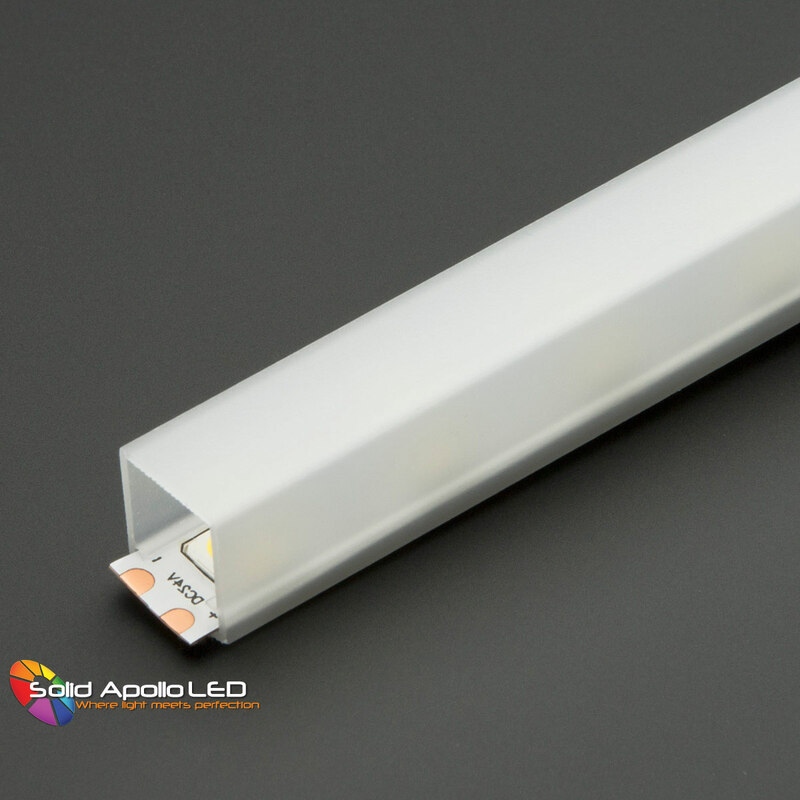 North Seattle Company Solid Apollo LED, has just released 2 new lines of products targeted at the linear LED Lighting market. The Neonizer LED Lighting Channels are a 2 part PMMA extrusion that incorporates a channel and diffuser fussed together in just one product. What is interesting about this new LED channel is that the diffuser is made from a very thick milky PMMA formulation that diffuses the Light evenly, thus making it look like real neon. Also one of the best features about these channels are that the user gets to choose the exact color of the light by using any off-the-shelf LED Light strip. Solid Apollo Offers 5 grades of white light ranging from 2400K, up to 6000K and even RGB color changing LED Strips can be used with this product. According to Manuel Barquin from Solid Apollo LED “ Neonizer LED channels are used mainly by lighting specifiers and lighting designers to bring new and exciting ways to light up spaces in unique ways never seen before”. One of the advantages of the new line of Neonizers is that they can be cut down to any size easily with any sharp blade or chop saw. This makes the 78 inch channel very versatile as the unit can be butted together with more units to make longer runs and can be cut to any size. Solid Apollo LED also offers a flexible and bendable version of the Neonizer profiles that can be easily bent to shape and even make curves. 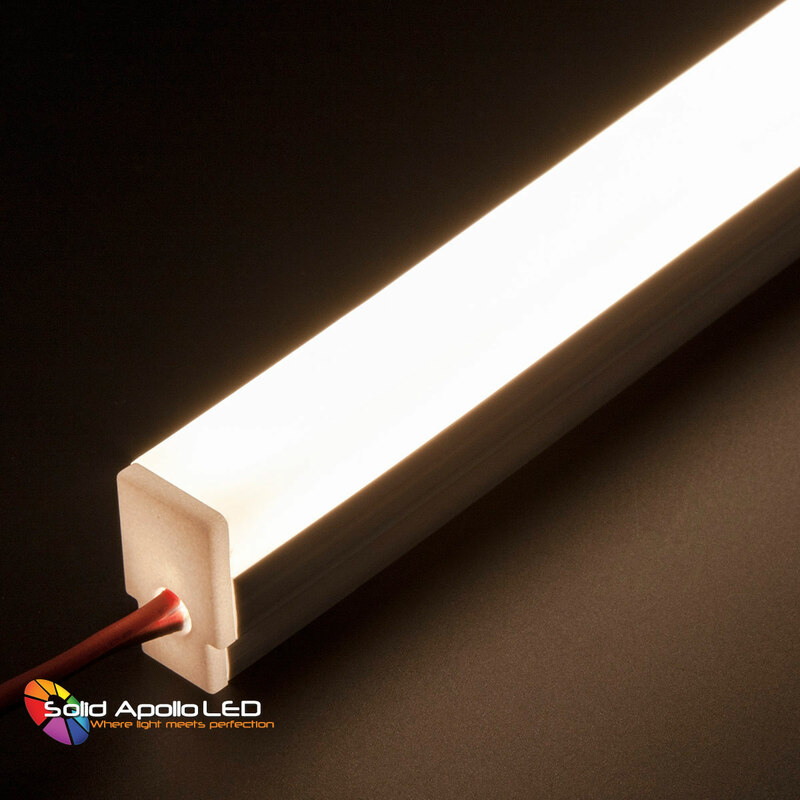 Another line of LED lighting Channels recently introduced by Solid Apollo LED are the new line of budget Lighting Channels: EconoLine Lighting Channels can be used with almost any LED strip light from the market and add a protective barrier to the LED Strips from water and the elements. These channels are available in 78 inch size and are aimed at installations that are budget minded. Solid Apollo LED also offers more than 100 different types of LED Strip channels, making it tone of the biggest suppliers of this kind of product.